WE INVEST IN STATE-OF-THE-ART TECHNOLOGY FOR YOUR MAXIMUM COMFORT. The iTero Digital Impression System is an advanced technology that allows us to achieve quick, accurate impressions of a patients teeth for orthodontic treatment. The Doral & Miami Centers for Orthodontics use the iTero system to provide patients in Miami and Doral, FL, with comfortable and effective treatment. What is the iTero Digital Impression System? 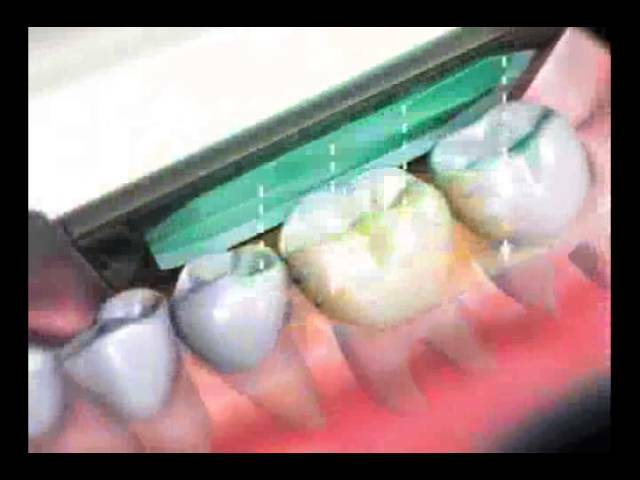 The iTero Digital Impression System is an advanced method of obtaining impressions. Before, patients had to use traditional tray and putty impressions. This method required biting firmly into a mold, which often caused gagging and discomfort. The iTero scanner captures instant digital impressions, rendering them in 3D. This streamlines the impression process and ensures accuracy when developing orthodontic treatments and appliances. How Does the iTero Digital Impression System Work? The iTero system uses a handheld scanner device. With the use of precise laser technology, the device is maneuvered around the mouth to capture digital images of the teeth. With this technique, it takes only a few minutes to collect digital impressions of all of the teeth. Patients can immediately see a 3D model of their teeth on the computer screen. We use this technique for Invisalign and other orthodontic treatments. With the iTero Digital Impression System, patients can enjoy a more comfortable and accurate impression method to accelerate their orthodontic treatment. If you are considering orthodontic treatment, contact us today to schedule an appointment. We welcome patients from Kendall, Hialeah, Miami Springs, and the surrounding areas of Florida.